Give your baby a full night of uninterrupted sleep with Mee Mee's Total Dry & Breathable Mattress Protector Mat Yellow that ensures your baby's bed stays dry and clean always. 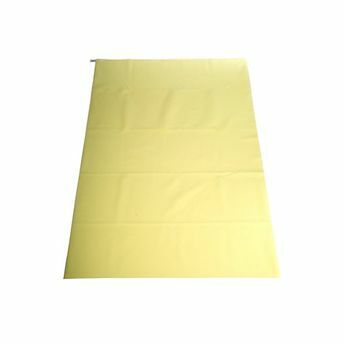 Its specialty, the ""Total Dry"" function absorbs moisture quickly and keeps the mattress dry to prevent rashes that typically get formed from bedwetting. After all, a well-rested baby is a happy and playful baby the next morning. Consists of waterproof, breathable membrane layer to prevent rashes from bedwetting. Absorbs moisture instantly so that your tiny tot can enjoy DIAPER FREE nights. Easy to wash and maintain. Lightweight to make it travel-friendly. Made of premium quality material that feels soft to your baby?s skin. Highly resistant and protective against bacteria, fungus, allergens, pet dander and dust mites for utmost hygiene.